AD Condominium. 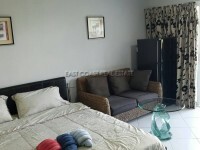 This studio unit is located on the 2nd floor of the building, facing to swimming pool. 35 sq.m. 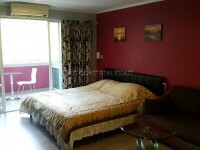 and it comes full furnished with kitchen, air-conditioning, dining table set, sofa & bed. This project is a low-rise building and it is located in Naklua area and only 500 meters walking distance from Wongamat Beach and all local amenities. The communal area has a large pool and relaxation area. The complex has secure underground car parking and 24 hour security with key card system. For SALE in foreign ownership, transfer fee & taxes are split 50/50 and also for RENT minimum 12 months only with 2 month holding deposit.